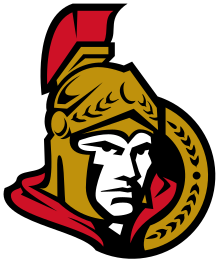 The Ottawa Senators are a National Hockey League (NHL) based in Ottawa, Ontario, Canada. The team has a bit of an odd history (which we get into a bit down below) with this version of the team being founded in 1992 and having not yet lifted the Stanley Cup. The team has had somewhat of an on and off form since its inception, putting in some stellar and terrible performances on a year to year basis. Below we have a good look at the Ottawa Senators including their standings, upcoming matches and odds. These sportsbooks should give you ample opportunity to bet on the Ottawa Senators and any other teams in the NHL. Be sure to study up on the Senators latest performances before placing a wager. The Ottawa Senators have somewhat of an odd history in the NHL. Although the team is considered to be one of the founding members of the NHL (which first launched in 1917), the current version of the team is not the same as that which originally founded the league. This is due to the fact that the original team left the NHL in 1934 after a spate of financial difficulties and poor performance. This incarnation of the team was able to lift the Stanley Cup 11 times before disbanding. The more recent incarnation of the team (the one that launched in 1992) has not experienced as much success. In fact, the team’s best performance in the league was making it to the final in 2007. They would eventually lose to the Anaheim Ducks. During this period, the Senators seemed to have a more consistent team. They may have been good bet to make it to the playoffs, but this has changed in recent years. Overall, in more recent times, the team has had some very inconsistent performances. One season had some analysts predicting that the team will come last in the league and then another had the side making it to the Conference Final. We wouldn’t recommend betting on the Senators when they make it to the playoffs (particularly if they’re going up against the Pittsburgh Penguins or the Toronto Maple Leafs) as their record really is less than desirable. With the team currently going through some dramatic changes at the moment, it is really tough to say when their next playoff appearance will even be. But who knows? Anything can happen in hockey!